We are a student-coordinated professional literary journal produced at Asnuntuck Community College since 2000, seeking submissions from the public. We consider poetry, short stories, personal essays, and creative nonfiction, and we publish a wide variety of literary work from students and professional writers across the globe. Submission Period: August 15, 2018, to February 15, 2019. Acceptances and rejections will be sent on a rolling basis, no later than the end of March 2019. The new edition will be published in May 2019. Freshwater accepts submissions of poetry, short stories, personal essays, and creative nonfiction. We seek to publish a wide variety of literary work from people of all backgrounds. We look for new experimental takes on old mediums, as well as more traditional approaches. To submit, email your entire submission in one attachment. Make sure to include your name in the attachment. No cover letter needed, but send a brief, one-paragraph bio with mailing address in the body of the e-mail. Poetry: Three poems maximum, up to 40 lines each. Prose: (fiction or nonfiction): One or multiple pieces up to 1,500 words total. No previously published material. Simultaneous submissions permissible if you notify us immediately of acceptance elsewhere. Payment is one contributor copy. 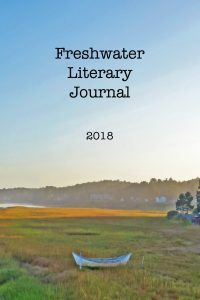 To order print copies of Freshwater (2005 through 2018 issues are available), send a check payable to Asnuntuck Community College for $10 per copy to John Sheirer, Freshwater Faculty Advisor, Asnuntuck Community College, 170 Elm Street, Enfield, CT 06082. Open to full- and part-time undergraduate students enrolled at Connecticut’s community colleges and public universities. Winning authors will have their work published in the 2019 edition of Asnuntuck’s literary journal Freshwater and will be invited to read at The Annual Freshwater Literary Festival at the college in May 2019. Entry deadline: January 31, 2019. Decisions made by the end of March. Rules and Guidelines: Open to full- and part-time undergraduate students enrolled during the 2018-19 academic year at Connecticut’s community colleges and/or public universities. Student writers may submit up to three unpublished poems no longer than 40 lines each. Email the poems in a single .doc, .docx, or .rtf document (with titles but no names on the poems for anonymous judging) to Freshwater@acc.commnet.edu. Include an email message with name, address, college affiliation, email address, brief biographical note, and the titles of poems submitted. Poems that do not win prizes will be considered for publication in the 2019 Freshwater Literary Journal.